Daniella Lyttle earned a J.D. with honors from The Michigan State University College of Law. She also has a B.A. with honors in Psychology and Gerontology from The University of South Florida. Ms. Lyttle is a member of The College of the State Bar of Texas, an honorary society of lawyers who are among the best trained attorneys in Texas. Members are qualified attorneys who are interested in both high ethical standards and improved training for all Texas attorneys. In 2014, Ms. Lyttle was selected by the National Advocates as a Top 100 Lawyer for the state of Texas. The National Advocates is a professional organization composed of the Top 100 attorneys from each state who serve individuals and families needing attorneys to represent them in the American legal system. Members of The National Advocates exemplify superior qualifications of leadership, reputation, influence and performance in their area of specialty. Prior to beginning her legal career, Ms. Lyttle was an enlisted soldier in the U.S. Army where she was trained as a Medical Specialist and a Human Resource Specialist. She served in the U.S. Army from 1998 to 2004. Ms. Lyttle also worked for various pharmaceutical and medical device companies as a sales representative. Ms. Lyttle began her legal career as a law clerk in the Tort Litigation Division and the Consumer Protection Division of the Texas Attorney General’s office. She was also a law clerk at Texas Rio Grande Legal Aid, primarily working on immigration cases. 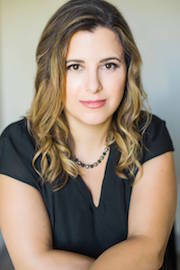 Prior to opening The Lyttle Law Firm in the summer of 2010, Ms. Lyttle was an associate at a firm in North Austin, working exclusively in the areas of family law and immigration law. Ms. Lyttle has received multiple awards, which include the prestigious 2018 Super Lawyers "Rising Star Award." Superlawyers recognizes no more than 2.5 percent of attorneys in the state. She has been Ranked as a Top attorney on Avvo with a score of 10.0 (superb), selected as top 10 Female Attorneys in Texas, National Top 100 Lawyer Advocates nationally, Ranked as the Three Best Rated Business of 2018 for our legal categories, selected by The National Academy of Jurisprudence as Top 100 attorneys, and nominated multiple times for the "Best of Austin under 40 Award," among others. Ms. Lyttle is fluent in both Spanish and Portuguese. We serve the following localities: Burnet County including Burnet and Spicewood; Hays County including Buda, Kyle, San Marcos, Dripping Springs, and Wimberley; Travis County including Austin, Del Valle, Jollyville, Lago Vista, Lakeway, Pflugerville, and West Lake Hills; and Williamson County including Cedar Park, Georgetown, Leander, and Round Rock.